Dive into the mathematical wonders of nature with this fractal loop, this video loop is a nice fit for your VJ projects. An inspiring visual design for you to use. 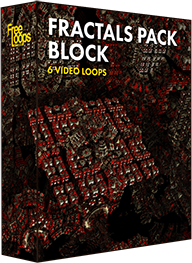 This video loop is part of Fractals Pack Block.